The Orthodox East had had another spiritual evolution, under the guidance of its spiritual leaders the Saints - and of those who followed them, the true believers - who remained loyal to the prophetic-apostolic-patristic tradition; this tradition stands at the opposite end of scholasticism and all the historic spiritual developments in the European word. In the East, hesychasm or prayer of the heart is dominant (and is the backbone of patristic tradition), it is expressed with the ascetically experienced participation in the Truth as communion with the Uncreated. The faith in the possibility of the joining of God and the world (the Uncreated and the created) within history is preserved in the Orthodox East. This, however, means the rejection of every form of dualism. Science, to the degree it developed in Byzantium/Romania, developed within this framework. It has been said that in the East the antithesis between faith and science is a pseudo-problem. Why? Because gnosiology in the East is defined by the object to be known which is twofold: the Uncreated and the created. Only the Holy Trinity is Uncreated. The universe (or universes) in which our existence is realized, is created. Faith is knowledge of the Uncreated, and science is knowledge of the created. Therefore, they are two different types of knowledge, each having its own method and tools of inquiry. The believer, moving within the territory of the supernatural, or knowledge of the Uncreated, is not called to learn something metaphysically or to accept something logically, but to experience God by being in communion with Him. This is accomplished by introducing him to a way of life or method which leads to divine knowledge. This clearly expresses that in Orthodoxy, authority is found in experience. The experience of participating in the Uncreated, of seeing the Uncreated (as expressed by the terms "theosis" and "glorification"), is not based on texts or on the Scriptures. The tradition of the Church is not preserved within texts but in people. Texts help, but they are not the bearers of the Holy Tradition. Tradition is preserved by the Saints. Human beings are the bearers of the Gospel. The placing of texts above the actual experience of the Uncreated (an indication of the religionizing of faith) leads to their ideologization and in fact to their idolization. This in turn leads to the absolute authority of the text (fundamentalism) and all the well understood consequences. The presupposition of the function of knowing the Uncreated, for Orthodoxy, is the rejection of every analogy (either Entis or Fide) in this relationship of the created and the Uncreated. St. John of Damascus summarizes this previously extant patristic tradition in the following manner: "It is impossible to find, in creation, an icon that would reveal the way of existence of the Holy Trinity. Because, how could it be possible for the created, which is complex and changeable and describable, which has shape and is perishable, to clearly reveal Superessential Divine Essence, which is free of all these categories?" (P.G. 94, 821/21). Therefore, it now becomes apparent why school education and philosophy more specifically, according to the patristic tradition, are not presuppositions for knowledge of God (theognosia). Alongside the great academic St. Basil the Great (+379) we also give honor to St. Anthony (+350), who by wordly standards was not wise. Yet they are both teachers of the faith. Both witness to knowledge of God, St. Anthony as someone uneducated and St. Basil as someone who was more highly educated than Aristotle. St. Augustine (+430) differs (something that the West would find very painful, if they knew about it) from patristic tradition at this point when he ignores scriptural and patristic gnosiology and is in essence a Neoplatonist! With his axiom credo ut intelligam (I believe in order to understand) he introduced the principle that man is led to a logical conception of Revelation through faith. This gives priority to the intellect (the mind), which is considered by this form of knowledge to be the instrument or tool of knowing both the natural as well as the supernatural. God is considered as a knowable object that can be conceived of by the human intellect (mind) just as any natural object can be conceived of. After St. Augustine the next step in this evolution, with the intervention of the scholasticism of Thomas Aquinas (+1274), will be made by Decartes (+1650) with his axiom cogito, ergo sum (I think therefore I am) in which the intellect (mind) is declared as the main basis of existence. It is the Orthodox Tradition that puts an end to this theoretical collision within the field of gnosiology. It does so by differentiating the two types of knowledge and of wisdom: divine or that which is "from above" and secular (thyrathen) or lower. The method of supernatural gnosiology, in the Orthodox Tradition, is called hesychasm and is identified with watchfulness and purification (nepsis and katharsis) of the heart. Hesychasm is identified with Orthodoxy. Orthodoxy, patristically speaking, is inconceivable outside its hesychastic practice. Hesychasm in its essence, is the ascetic-curative practice of cleansing the heart of passions to rekindle the noetic faculty within the heart. It must be noted at this point, that the method of hesychasm as a curative practice is also scientific and practical. Therefore, theology, under proper conditions, belongs to the practical sciences. Theology's academic classification among the theoretical sciences or arts began in the 12th century in the West and is due to the shift of theology into metaphysics. Therefore, those in the East who condemn our own theology, demonstrate their Westernization, since they, essentially, condemn and reject a disfigured caricature of what they regard as theology. But what is the noetic function? In the Holy Scriptures there is, already, the distinction between the spirit of man (his nous) and the intellect (the logos or mind). The spirit of man in patristics is called nous to distinguish it from the Holy Spirit. The spirit, the nous, is the eye of the soul (see Matt. 6:26). The noetic faculty is called the function of the nous within the heart and is the spiritual function of the heart, its parallel function is the heart as the organ that pumps the blood throughout our bodies. This noetic faculty is a mnemonic system that exists with the brain cells. These two are known and are detectable from human science, which science cannot, however, conceive of the nous. When man attains illumination by the Holy Spirit and becomes the temple of God, self-love changes to unconditional love and it then becomes possible to buiId real social relations supported upon this unconditional reciprocity (a willingness to sacrifice for our fellow man) rather than a self- interested claim of individual rights according to the spirit of western European society. Thus some important consequences are understood: First, that Christianity in its authenticity is the transcendence of religion and the conception of the Church as merely an institution of rules and duties. Furthermore, Orthodoxy cannot be conceived as an adoption of some principles or truths, imposed upon from above. This is the non-Orthodox version of doctrines (absolute principles, imposed truths). Conceptions and meanings in Orthodoxy are examined through their empirical verification. The dialectical-intellectual style of thinking about theology, as well as dogmatizing, are alien to authentic Orthodox Tradition. The scientist and professor of the knowledge of the Uncreated, in the Orthodox Tradition, is the Geron/Starets (the Elder or Spiritual Father), the guide or "teacher of the desert". The recording of both types of knowledge presupposes empirical knowledge of the phenomenon. The same holds true for the science of faith. The empirical knowledge of the Saints, Prophets, Apostles, Fathers and Mothers of all ages is adopted and founded upon the same trust. The patristic tradition and the Church's Synods function on this provable experience. There is no Ecumenical Synod without the presence of the glorified/deified (theoumenoi), those who see the divine (this is the problem of the synods of today!) Orthodox doctrine results from this relationship. Therefore, Orthodox faith is as dogmatic as science is. Those who speak of bias in the field of faith, must not forget the words of Marc Bloch, that all scientific research is biased from the beginning, otherwise research could not have been possible. The same holds true of faith. Orthodoxy makes a distinction between the two types of knowledge (and wisdom), and their methods and tools, thus, avoiding any confusion between them as well as any conflict. The road remains open to confusion and conflict only where the conditions and essence of Christianity are lost. However, in the Orthodox environment, some illogical analogies exist. Such as the possibility of having someone who excels in science, yet with regard to divine knowledge is a child spiritually; and vice-versa, someone who is great in divine knowledge and completely illiterate in human wisdom as the aforementioned St. Anthony the Great. Nothing, however, precludes the possibility of possessing both types of wisdom/knowledge, as is the case of the Great Fathers and Mothers of the Church. This is exactly what the Church hymns for the 3rd century mathematician Saint Catherine the Wise describe, as she possessed both types of knowledge: The martyr having received God's wisdom since childhood, learned all secular wisdom well. Thus the Orthodox believer experiences in the correlation of the two knowledge-wisdoms a God-man dialectic. And to use the Christological terminology, every knowledge must stay put and move within its limits. The problem of the limits of each kind of knowledge is put thus: The surpassing of those limits leads to the confusion of their functions and finally to their conflict. According to the above, the Holy Fathers defended the correct use of science and education. Saint Gregory the Theologian states: "Education should not be dishonored." The same Father in his second theological Oration also sets the limits of both kinds of wisdom. Saint Gregory says that the ancient sage (Plato in Timaeus) said: "It is difficult to know God and impossible to express Him [verbally]." However the same Greek yet Christian St. Gregory understands that it is impossible to express (describe) God with words, moreover it is absolutely impossible to understand Him! That is, Plato has already pointed out the limits of human reason and it is important to add that there is no rationalism in ancient Greek philosophy. Saint Gregory also demonstrates the impossibility of surpassing those limits and the conception of the Uncreated by means of the knowledge of the created. The distinction and simultaneous hierarchy of the two kinds of knowledge have been pointed out by Saint Basil the Great when he states that faith must prevail in words concerning God and the proofs made by reason. That faith originates from the action and energy of the Holy Spirit. Faith for St. Basil is the illumination of the Holy Spirit in the heart. (P.G. 30, 104B-105B). He also gives a classic example of the Orthodox use of scientific knowledge in his Hexameron (P.G. 29, 3-208). 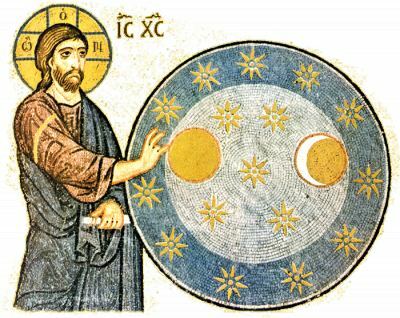 He repudiates the cosmological theories of the philosophers on the eternity and self-existence of the world and proceeds to the synthesis of biblical and scientific facts, through which he surpasses science. Furthermore, by rejecting materialistic and heretical teachings, he gets to the theological (but not metaphysical) interpretation of the nature of creation. The central message of this work is, that the logical support of dogma is impossible based only on science. Dogma belongs to another sphere. It is above reason and science, yet within the limits of another knowledge. The use of dogma with wordly knowledge leads to the transformation of science into metaphysics. Whereas the use of reason in the domain of faith proves its weakness and relativity. Therefore, there is no belief that is not searched in Orthodox gnosiology, but each field is searched with its own criteria: Science with its presuppositions and Divine Knowledge with its presuppositions. The most tragic expression of the alienated Christian body is the ecclesiastical attitude in the West towards Galileo. The case could be characterized as surpassing the limits of jurisdiction. But it is much more serious, it is the confusion of the limits of knowledge and their conflict. It is a fact that this loss of the wisdom from above in the West and the way of achieving it have caused the intellect (mind) to be used as a tool of not only human wisdom, but of Divine Wisdom too. The use of the intellect in the field of science leads unavoidably to the rejection of the supernatural as incomprehensible, and its use in the field of faith can lead to the rejection of science when it is considered to be in conflict with faith. This same way of thinking and the same loss of criteria is also betrayed by the rejection of the Copernican system in the East (1774-1821). Science, in turn, takes its revenge for the condemnation of Galilee by the Latin Church, in the person of Darwin, with his theory of evolution. The European Enlightenment consisted of a struggle between physical empiricism and the metaphysics of Aristotle. The Enlighteners are philosophers and rationalists as well. The Greek Enlighteners, with Adamantios Korais as their patriarch, were metaphysical in their theology and it was they who transported the conflict between empiricists and metaphysicists to Greece. However, the Orthodox monks of Mount Athos, the Kollyvades and other Hesychast Fathers remained empiricists in their theological method. The introduction of metaphysics in our popular and academic theology is due, principally, to Korais. For this reason Korais became the authority for our academic theologians, as well as for the popular moral movements. This means that the purification of the heart has ceased to be considered as a presupposition of theology and its place has been taken by scholastic education. The same problem appeared in Russia at the time of Peter the Great (17-18th century). Thus the Fathers are considered to be philosophers (principally Neoplatonists like St. Augustine) and social workers. 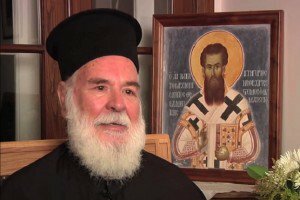 This has become the prototype of the pietists in Greece. Furthermore, Hesychasm is rejected as obscurantism. The so-called progressive ideas of Korais comprise from the fact that he was a supporter of the Calvinistic and not the Roman Catholic use of metaphysics, and his theological works are intense in this Calvinistic pietism (moralism). However, for the Fathers, Orthodoxy is anti-metaphysical, as it continually searches empirical certainty by means of the hesychastic method. This is why the hesychasm of the Kollyvades is empirical and scientific. Ratio according to Saint Nicodemus the Hagiorite is empirical. This is illustrated by the Hesychasts of the 18th century in the way in which they accept the scientific progress of the West. The Kollyvades acknowledged scientific viewpoints like, for example, Saint Nikodemos the Hagiorite did in his work, Symbouletikon, where he accepts the latest theories of his time on the functioning of the heart. Saint Athanasios Parios does not fight science itself, but its use by the Westernized Enlighteners of the Greek nation. They regarded science as God's work and as an offering for the improvement of life. But the use of science in a metaphysical struggle against faith, as was practised in the West, and as was transferred to the East, is opposed quite rightly by the traditional theologians of the 18th and 19th century. The mistake lies on the side of the Greek Enlighteners who, without having any relationship with the patristic viewpoint of knowledge, although they themselves were priests and monks, transferred the European conflict of metaphysicists and empiricists to Greece, talking about irrational religion. Whereas, the Fathers of Orthodoxy, discriminated between the two kinds of knowledge making a distinction at the same time between the rational from the super-rational. The problem of conflict between faith and science, apart from the confusion of knowledge, has caused the idolization of the two kinds of knowledge. Thus, a weak and morbid apologetic has resulted in Christianity (e.g. a Greek professor of Apologetics many years ago produced a mathematical proof of the existence of God!). In Orthodoxy, however, this dualism is not self-evident. Nothing excludes the co-existence of faith and science when faith is not imaginary metaphysics and science does not falsify its positive character with the use of metaphysics. The mutual understanding of science and faith is helped by current scientific language. The principle of indetermination (that there is no causality) is a kind of apophaticism in science. The return to the Fathers therefore, helps to overcome the conflict. The acceptance of the limits of the two kinds of knowledge (Uncreated and created) and the use of the suitable organ or tool for each one, is the element of Orthodoxy and of the Fathers which places earthly wisdom under higher or divine knowledge.